As one neurosurgeon recently told me, the brain is the final frontier of medicine and the organ that we know the least about, however developments in the field of neuropsychology and neuroplasticity are opening up new and exciting opportunities for how we view the potential to heal ourselves from all types of traumas, including physical and emotional. 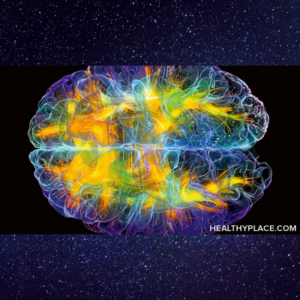 Scientists have now proven that the brain is not a stagnant organ but is hardwired and genetically designed to heal, change and rewire itself, as different pathways form and fall dormant, are created and are discarded, according to our experiences. Research is also showing that we can collaborate in this process to advance our own growth and development. What If You Truly Believed That Through Your Own Brain Training You Could Heal Your Mental Distress? 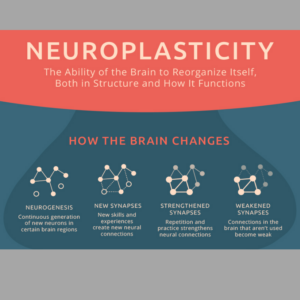 The connection between neuroplasticity and psychological illness can be as discouraging as it is enlightening, revealing the habitual and repetitive nature of our maladaptive pathways. Our numerous psychological disorders are seemingly fixed, stubbornly forged in our brains over our entire lifetimes. (Hellerstein, 2011) It is certainly not easy to challenge ourselves to continue to practice the day to day behaviours and thoughts that will eventually have measurable effects on our brain structures and lead to recovery from psychological disorders. The hardest aspect is the sustained effort required. So many of us are traumatized and living in a permanent trance state of fight or flight without even realizing it. Most people don’t realize that the way they live is a chosen lifestyle, living every moment feeling, seeking and identifying the origin of danger, threat and fear. It is almost the new normal. Recovery is challenging and firstly we need to identify what’s going on. This often requires the help of a good psychotherapist. But even then not everyone commits or follows through with psychic change. There are so many reasons why we don’t want to give up our psychological distress. Change and fear of the unknown is a big one, especially when we know no other way of being. In the words of one of my clients in my English speaking psychotherapy practice “If it weren’t for my reactive anger I would never get through the day”. And yet if we stay attached and committed to what is making ourselves, the people around us, and the planet sick, then we will never have the chance to heal. With neuroplasticity as your guide you can learn that supporting your brain with new and good experiences while you forge your recovery path can be a positive, balancing and economically accessible way to feel better. Through research we can now see that even as little as 10 minutes of mindfulness meditation per day can, in fact, change the brain, through neuroplasticity. The more mindful we become and the more we meditate, the more our brain adapts to this state as our default state. This is why mindfulness meditation has such a big impact on regular practitioners even outside of their dedicated practice time; you are teaching your brain to be calm, non reactive and at peace even when not meditating and even when faced with stressful situations. Like going to the gym and training a muscle, disciplined training over time is what counts, not immediate results. Learning a new subject—especially a large, complex subject in a short period of time (Hellerstein, 2011).